Discussion in 'Gigabyte' started by (PeteCresswell), May 1, 2013.
priority, I get intermittent beeps from the mobo. things...) the beeps go away almost completely. priority, wait a few minutes, and the menu pops. other two showed a similar increase. not the graphics card, but I really have no clue. Can anybody shed some light? as well as it should be. alarm program, and it isn't going off, and yet the motherboard beeps. There is not supposed to be any way of detecting an SMM from Windows. a status bit or anything. DPCLat merely notes that "some time went missing"
or fan speed as variables (and it probably isn't fan speed). The only other thing you're missing, is visibility into "Throttling". 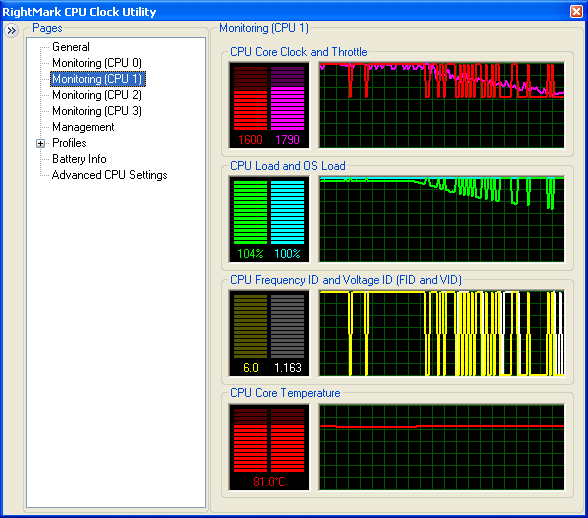 of measuring whether you don't have sufficient cooling for the CPU. it should only trigger at more than 0.15V on the low side. fixes the range of values the register driving VID can put out. for the allowed range of VID register. at top multiplier (9X), then see whether VID stays put. current, that's why the VCore value drops. 1.3V - 0.150V at load). P4P800 deluxe 2 beeps , what are those beeps?